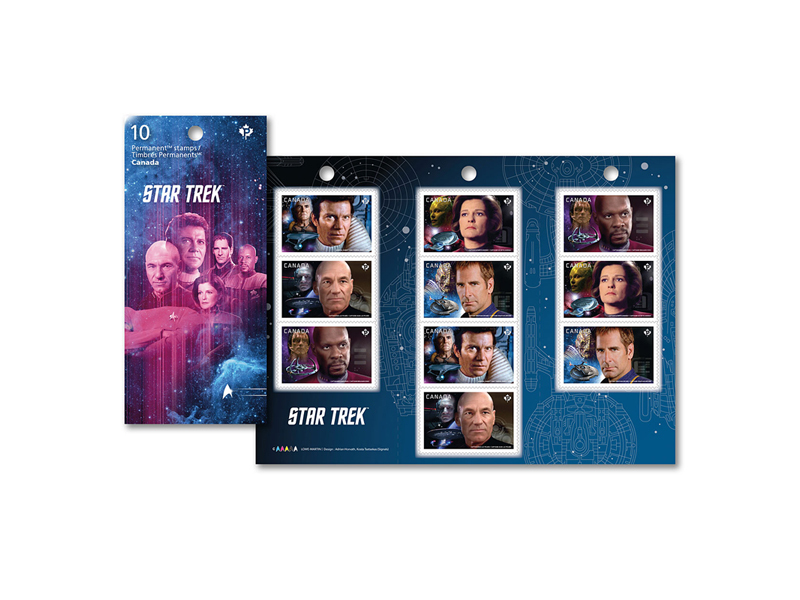 Enjoy the company of some of the finest leaders that Starfleet Academy has ever produced in this booklet of 10 Permanent™ stamps. 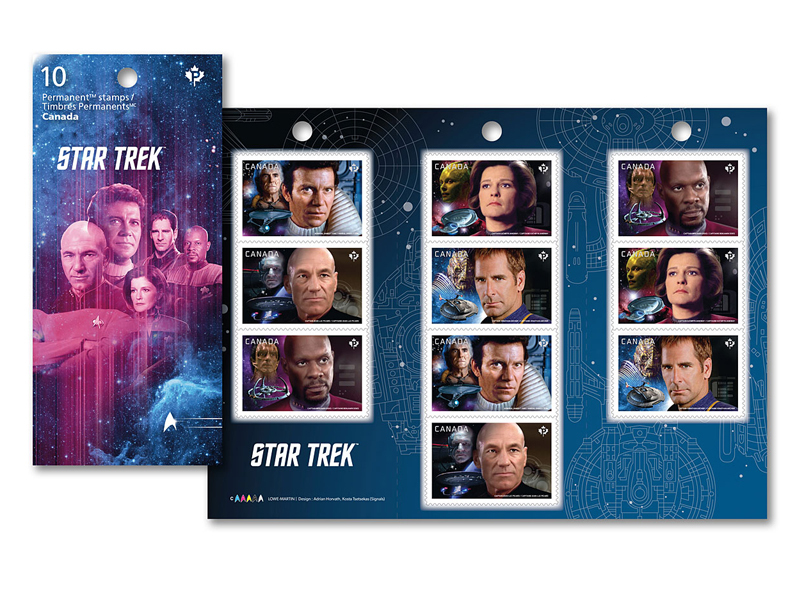 Representing each generation, this booklet contains two Permanent stamps of: James T. Kirk (Canadian William Shatner), Jean-Luc Picard (Patrick Stewart), Benjamin Sisko (Avery Books), Kathryn Janeway (Kate Mulgrew) and Jonathan Archer (Scott Bakula). Of course there can’t be a star-hopping mission without a starship, so situated alongside these heroes are their signature vessels: U.S.S. Enterprise, U.S.S. Enterprise-D, U.S.S. Voyager, and Enterprise NX-01, along with space station Deep Space Nine. A leader’s mettle can never be truly tested without a fearsome villain, so lurking ominously in the background are their main antagonists: Khan Noonien Singh, Locutus of Borg, Dukat, the Borg Queen and Dolim. 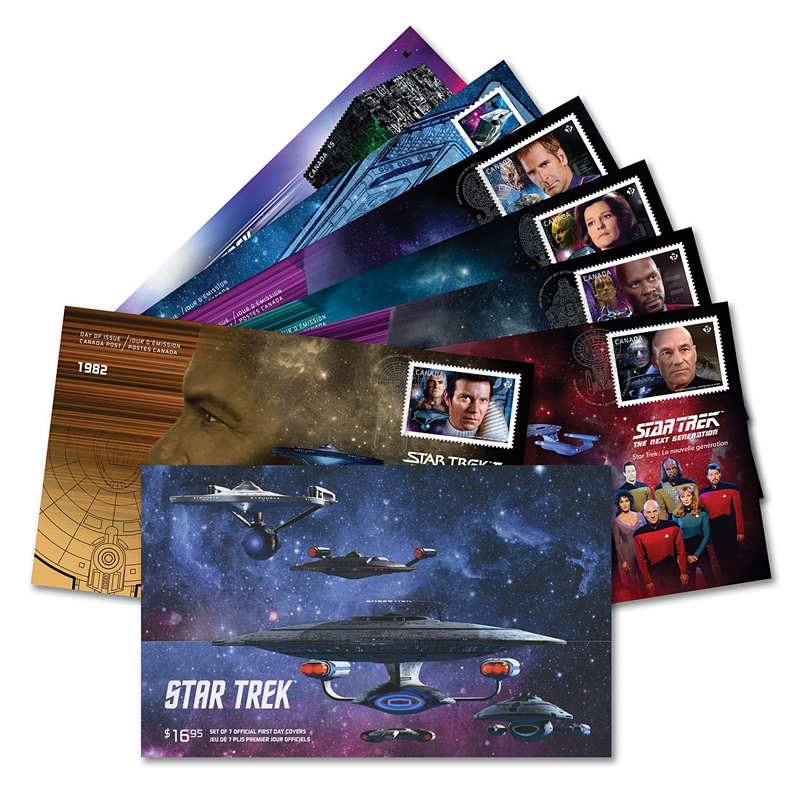 Created using stills from four Star Trek TV series and fan-favourite motion picture Star Trek II: The Wrath of Khan, this booklet is calling your name. Make it so.